Lasik Is More Popular Than Ever, But What Else Is Out There? While Lasik is the most popular choice, in some instances, ICL has a broader compatibility rate. For those who are not considered candidates for Lasik due to severe myopia (near-sightedness), thin corneas or dry eye syndrome, ICL presents a solid alternative. The first step in determining which procedure is the best for YOU, is a thorough eye exam and consultation with your doctor. Many patients are excellent candidates for Lasik but for those who aren’t, ICL has a comparable success rate. While most patients of both procedures agree that corrective surgery is an amazing trade-in for the money they had been spending on glasses or all of the expenses connected with contact lenses, the continued widespread success and dependability of Lasik has allowed it to become more affordable. A national average shows Lasik costing approximately $2,000 per eye while the newer ICL costs an average of $3500 per eye. Both Lasik and ICL are quick and painless with a short recovery period. Not including prep and recovery time, most procedures take less than 20 minutes. Lasik uses a laser to cut a micro-thin flap in the cornea. The doctor then lifts the flap and uses a corrective laser to mold the cornea to the needed prescription. This is permanent. The ICL is inserted through a tiny incision in the iris and placed in front of the patient’s natural lens – which works with the implant to correct vision. ICL can be reversed or, in cases of over/under correction, the lens can be replaced with the accurate prescription. For many, being able to wake up with perfect or near-perfect vision outweighs the rare chance of something going wrong. 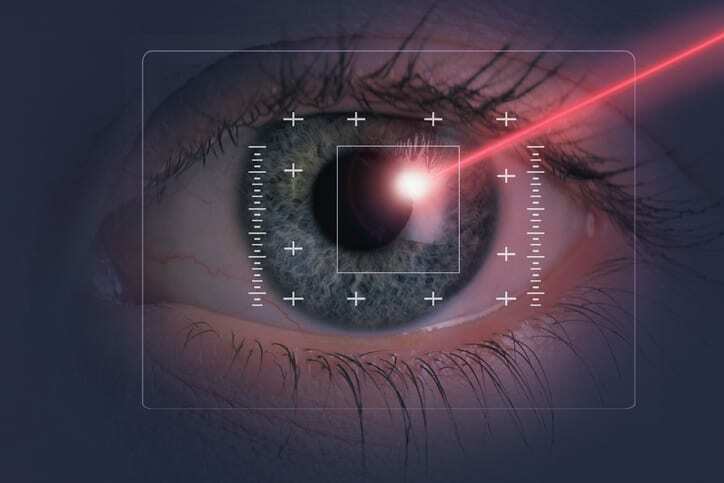 Though the two procedures share many of the same risks – such as over/under correction, glare, halos or double vision- ICL may cause cataracts to develop at an earlier age as well as a chance of increased intraocular pressure. Careful monitoring at follow-up visits usually helps to control these side effects. When it comes down to it, Lasik is still the “go-to” corrective procedure for those who are eligible candidates. But deciding which procedure is best truly depends on an individual’s eye health, nature of their corrective needs and their doctor’s consultation.